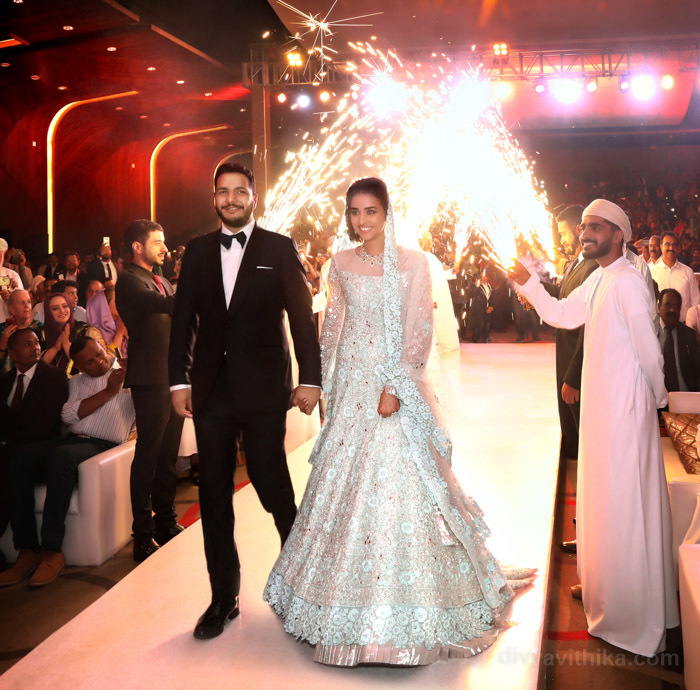 This super lavish wedding reception with a star studded guest list at the Le Meridien Kochi was made even more special by the lovely bride and groom and their families. 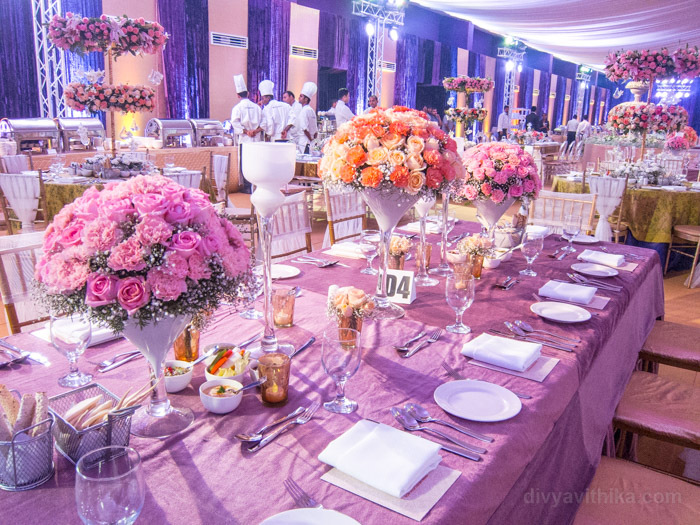 They worked with us closely to ensure that every guest was personally looked after. 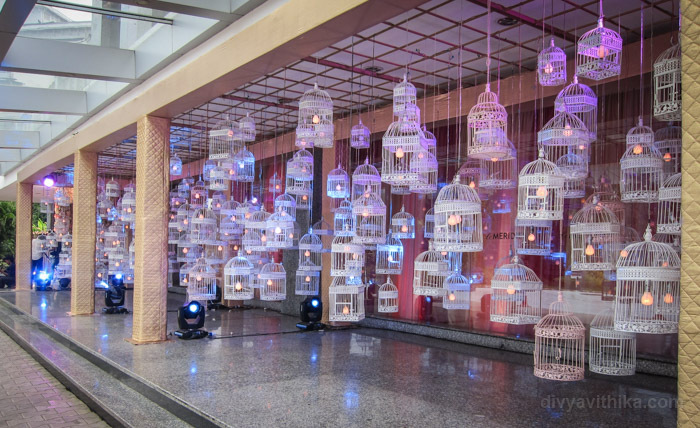 This was no mean task given that we had 500 guests flying in from all parts of the world and 4000 guests attended the reception. 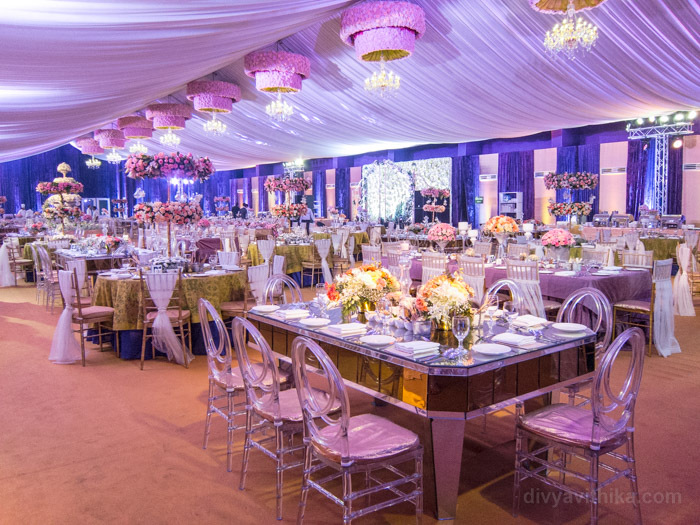 The guests were awed by a wedding dinner that was fit for royalty. 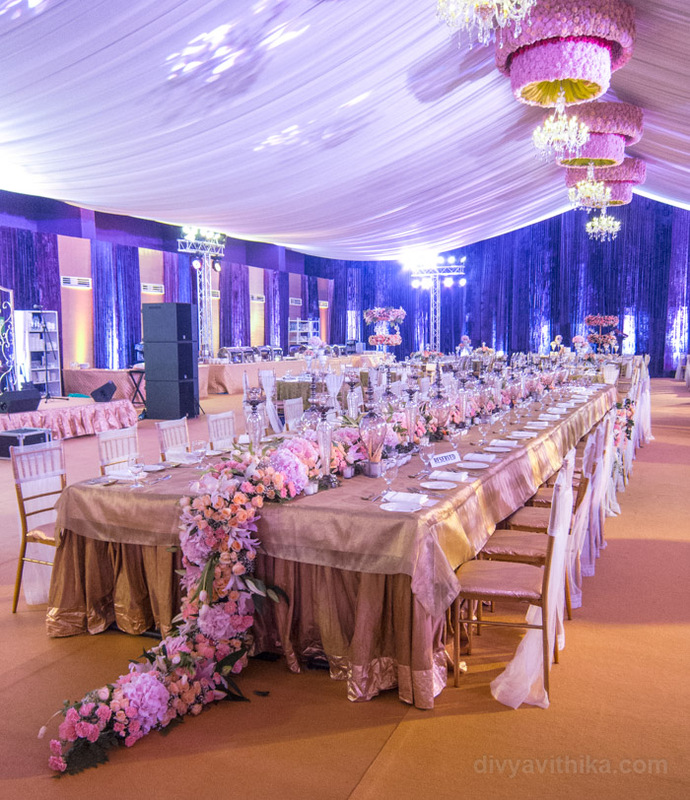 Decorated in timeless gold and purple hues, the venue was filled with countless candles, crystals and exotic flowers. 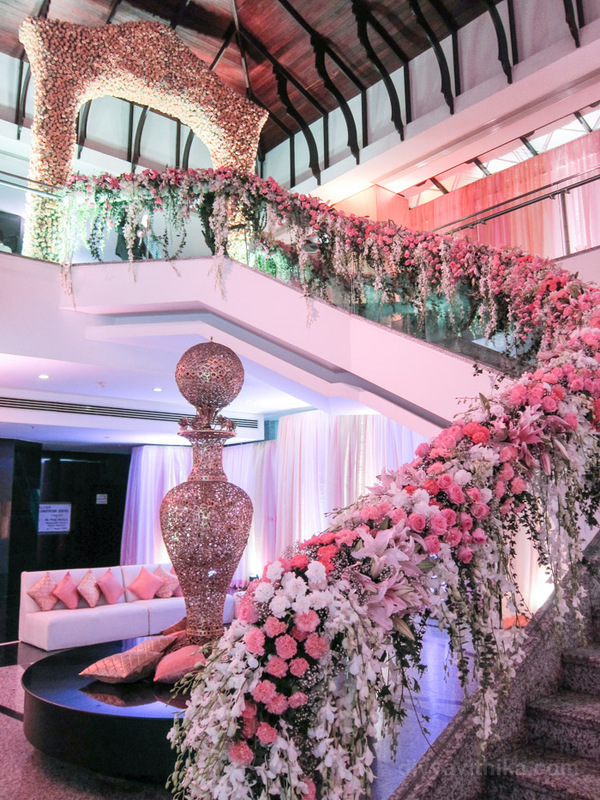 Our décor team worked tirelessly for two full weeks onsite to create the desired effect. 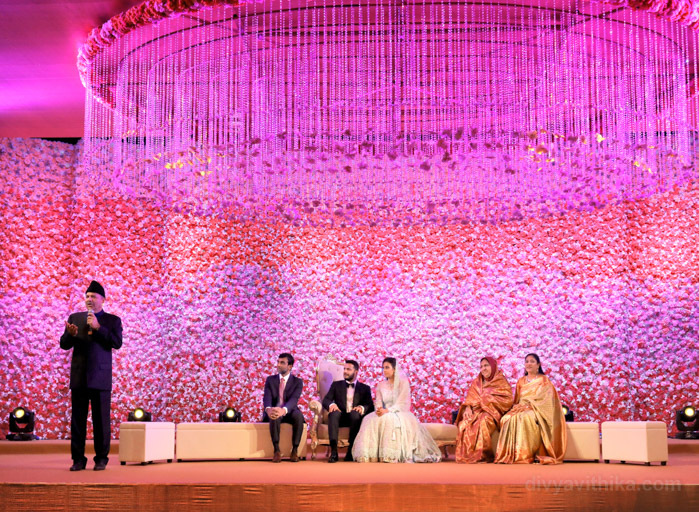 The serenading notes by the symphony girls added further magic to the celebrations. 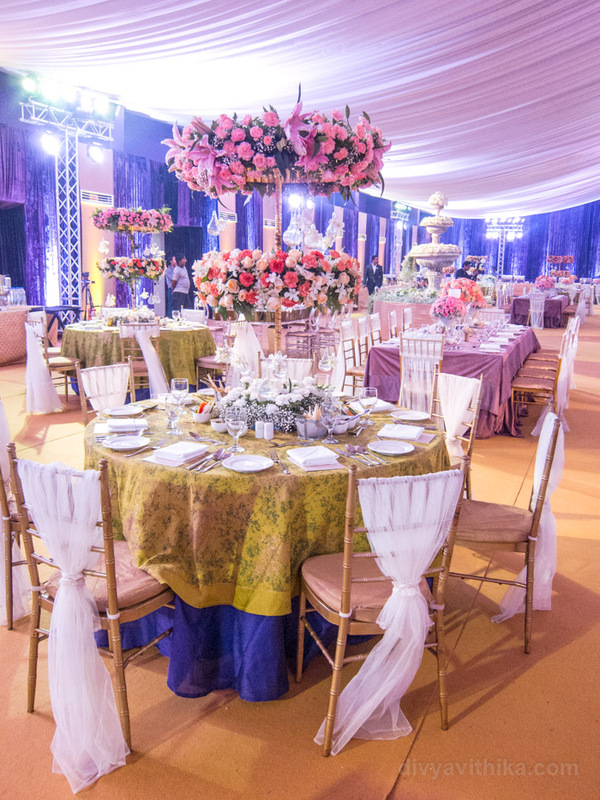 Our team of 40 people took care of all guests flying in from various parts of the world, their ground transportation, welcome letters, welcome hampers, return gifts, décor, light, sound, licenses, entertainment, photography team, stage management among many other aspects. 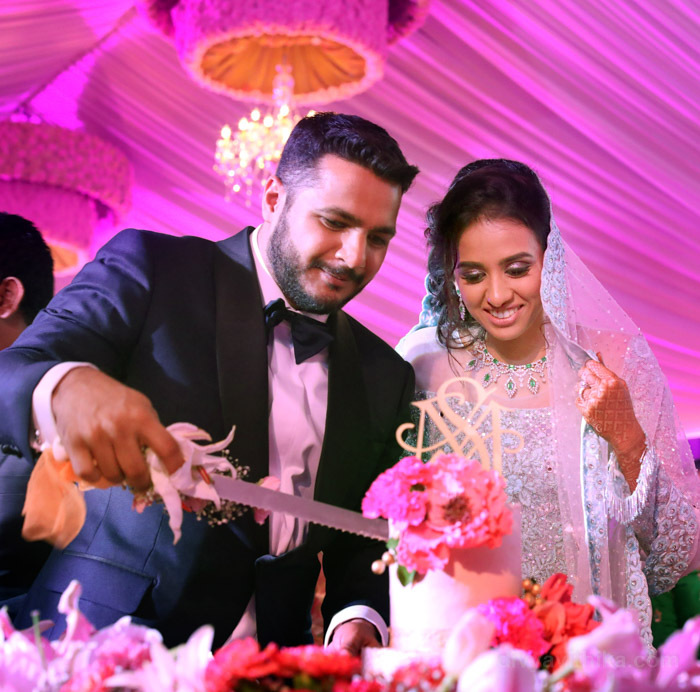 Mohiuddin and Sumaiya you are both amazing. We wish you a wonderful life ahead filled with love, adventures and happiness.